to walk up the stairs to tuck her in at night.When I brushed her hair I pulled hard on purpose .And always the sharp, plaintive edge on the rim of the spoon of my giving...Kathleen Sheeder Bonanno is a contributing editor of The American Poetry Review and has been nominated for a Pushcart Prize for two poems from Slamming Open the Door . She currently teaches English and creative writing in Pennsylvania. 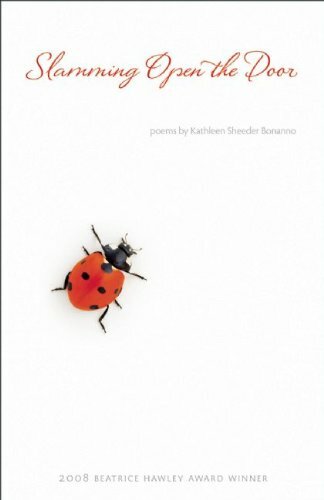 Kathleen Sheeder Bonanno is a contributing editor of The American Poetry Review and has been nominated for a Pushcart Prize for two poems from Slamming Open the Door. She currently teaches English and Creative Writing in Pennsylvania.